Bob was born in Warren, Pennsylvania, in 1944. He is a 1966 graduate of Princeton University and received his law degree from Vanderbilt University in 1969. A practicing attorney in the estates-and-trust area for more years than he wishes to acknowledge, Bob was a shareholder in the law firm of Buchanan Ingersoll, where he previously served as the Chairman of its Tax Section and its Compensation Committee, as well as a member of its Board of Directors. Bob is a member of the American College of Trust and Estate Counsel and a past officer of the Estate Planning Council of Pittsburgh. 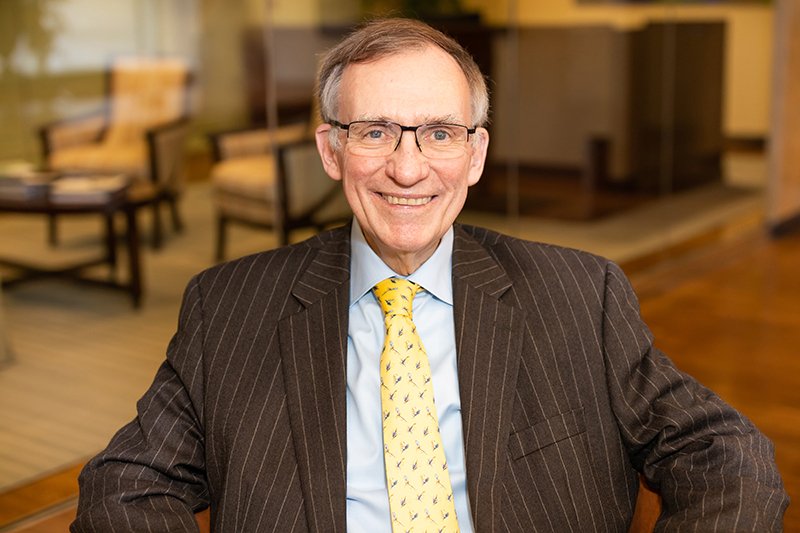 Throughout his career he has served on many charitable and civic boards and is the past president of the Harvard-Yale-Princeton Club of Pittsburgh and the Edgeworth Club of Sewickley, Pennsylvania. Bob is the Chairman of Smithfield Trust Company, an independent trust company located in Pittsburgh, Pennsylvania, with approximately $1,300,000,000 in assets under administration. As a state bank with trust powers only, Smithfield received its charter from the Pennsylvania Department of Banking 22 years ago.